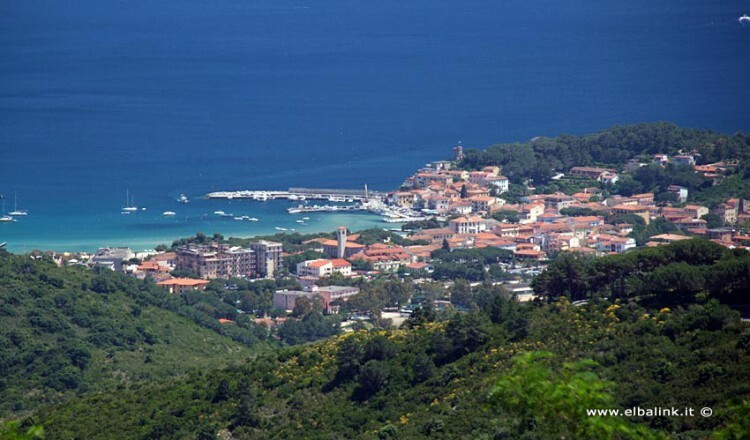 The municipality of Campo nell’Elba stands at the foot of Mount Capanne, in the south-east of the island. 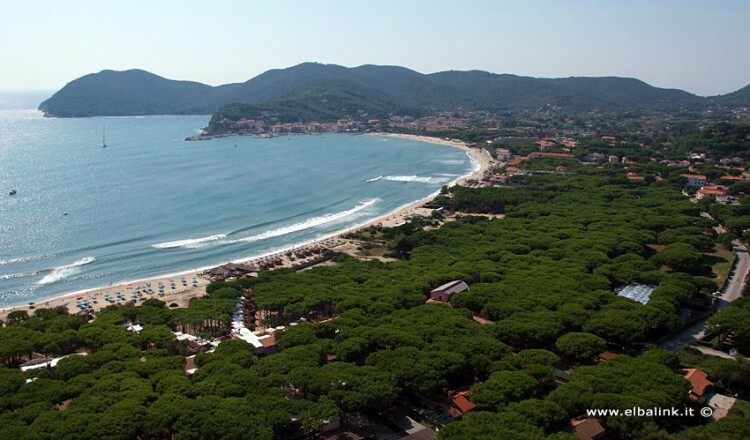 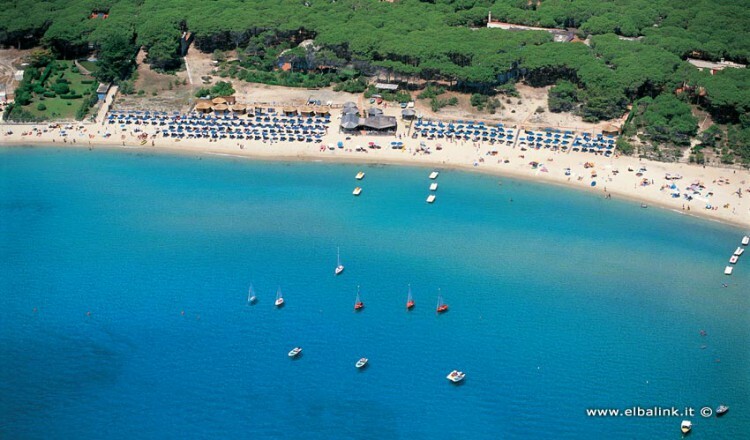 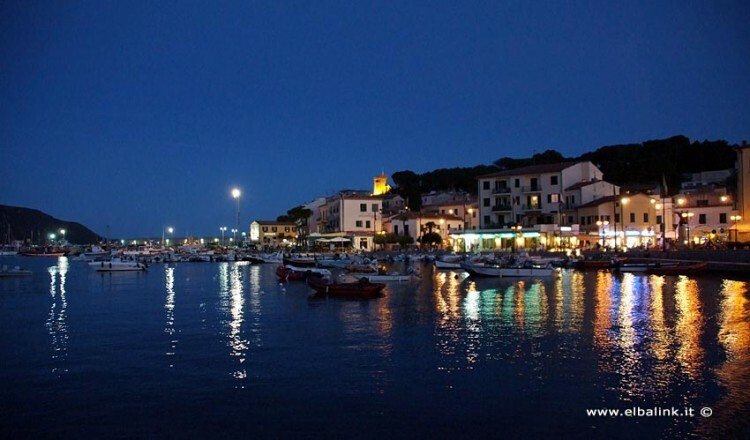 Its main town, Marina di Campo, famous for its long sandy beach and its vibrant social scene during the summer season, was one of the first places in Elba to develop as a tourist resort. 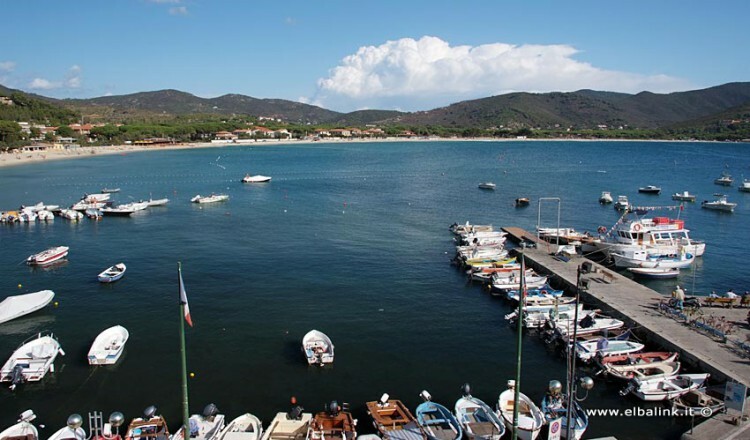 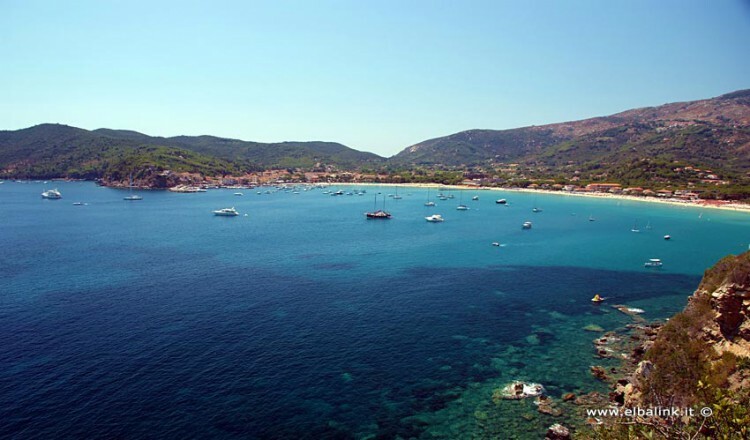 The ideal holiday location for both families and young people, it is without a doubt Elba’s summer hot-spot, thanks not only to its packed schedule of entertainment events but also to its wide choice of shops, restaurants, bars and disco-pubs. 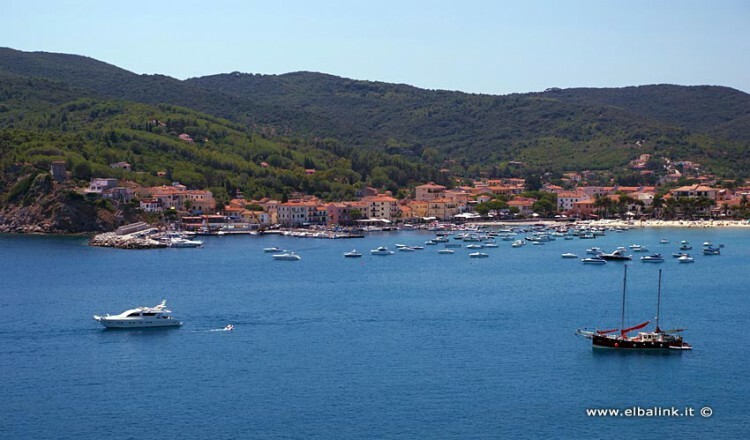 In spite of its thriving tourist sector, the town continues to maintain a successful fishing industry, and it is still pleasant, even today, to walk along the harbour and look at the many fishing boats moored there. 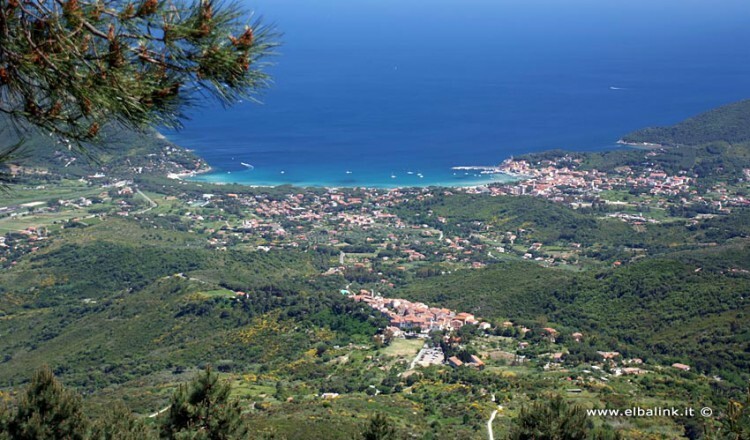 Up in the hills behind the town, dominated by the Pisan-built San Giovanni look-out Tower, the villages of San Piero and Sant’Ilario overlook the gulf of Marina di Campo. 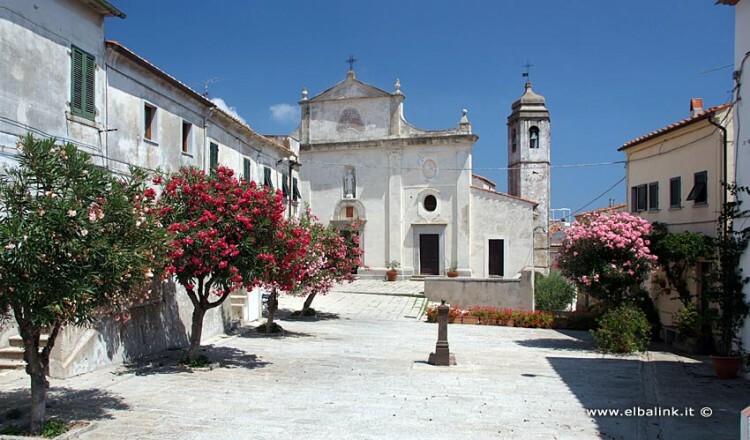 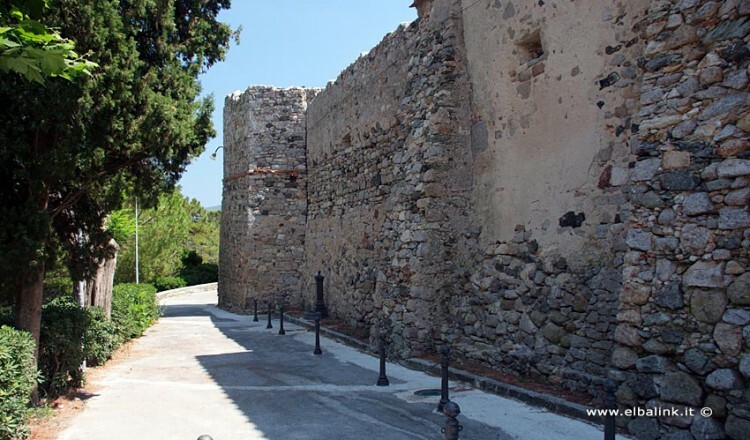 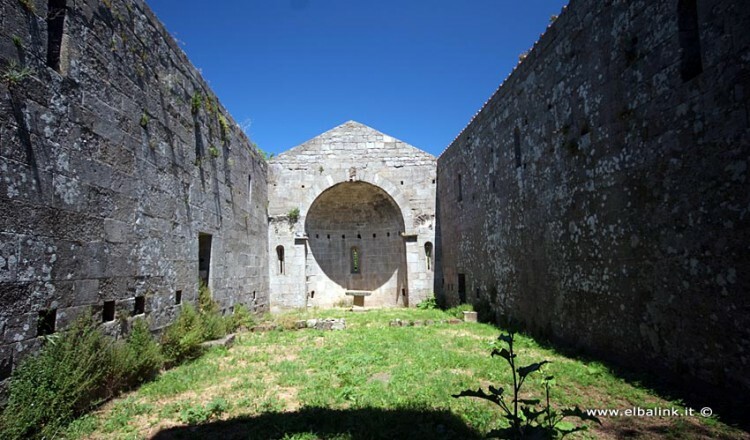 Visiting the small squares, narrow streets and granite steps of these two ancient fortified villages, one has the impression that time has stood still. 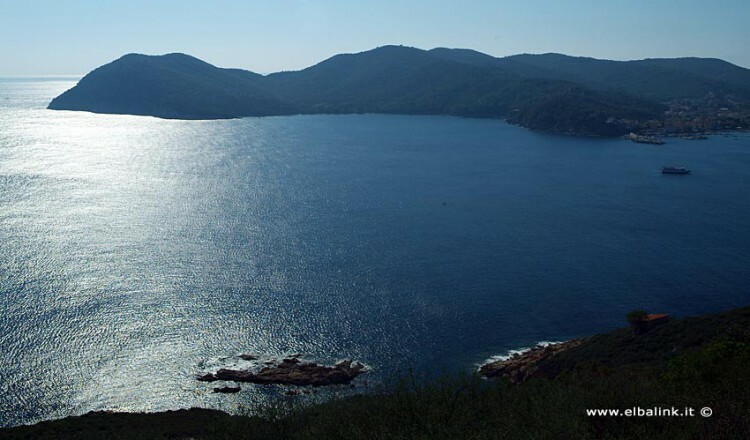 Even at the busiest time of year, one seems to have entered another dimension, where a pleasant serenity reigns. 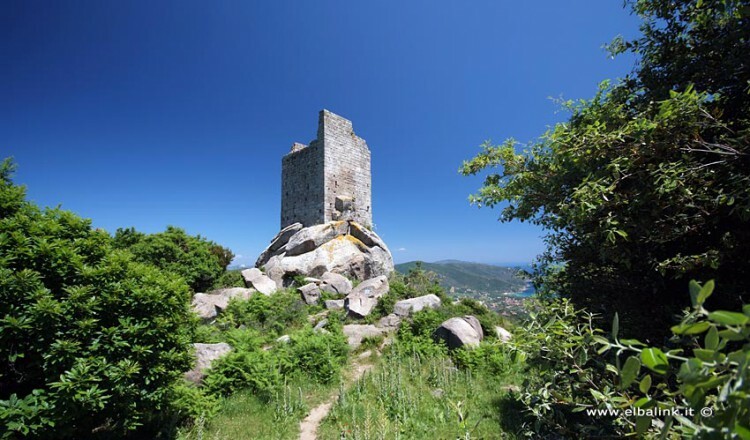 Nature-lovers and walkers will find that the magnificent surrounding areas offer unforgettable landscapes in which they can explore a variety of paths, such as the Granite Trails, which lead from San Piero to Cavoli and Seccheto, and give visitors a fascinating view of the quarries, carved stones and remains of many granite structures, or the tougher walks running all the way to Mount Perone. 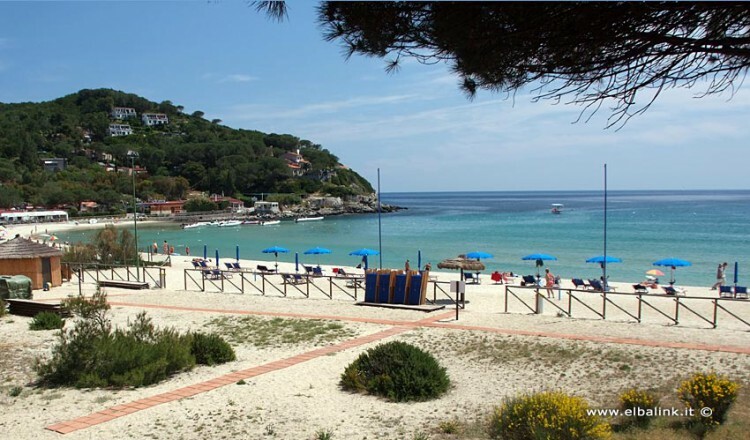 It is also well worth taking a trip around the western coast, known as the Costa del Sole. 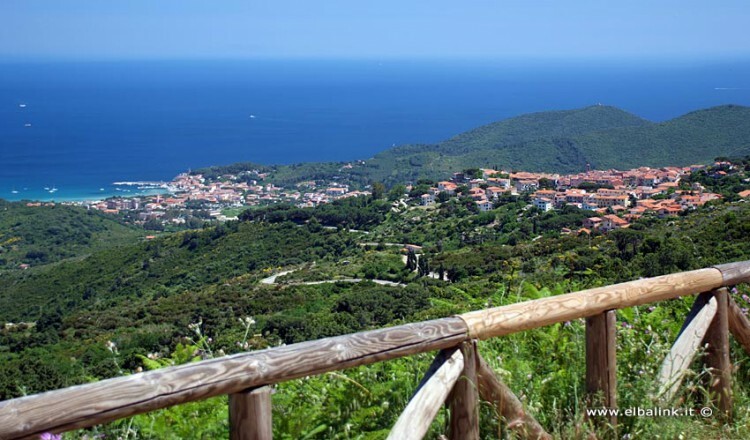 The panoramic road, suitable for motorists, motorcyclists and – with the necessary care and attention – cyclists, offers a view of Elba’s loveliest, most famous seaside resorts, caressed by the gem-like waters of the Tyrrhenian Sea. 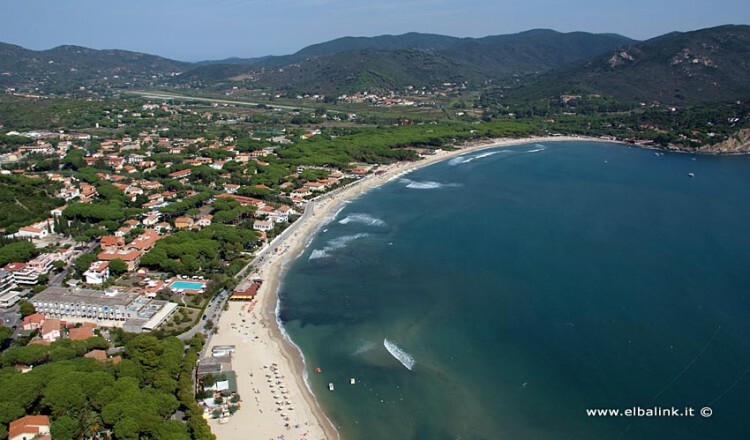 Cavoli beach, crowded with young people in July and August, enjoys a mild climate all year round, and so even in winter swimmers can often be seen enjoying this natural paradise undisturbed. 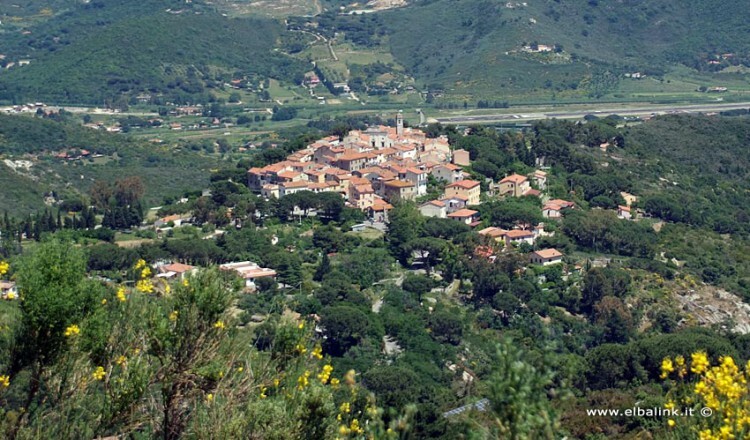 A few kilometres further on lies Seccheto. 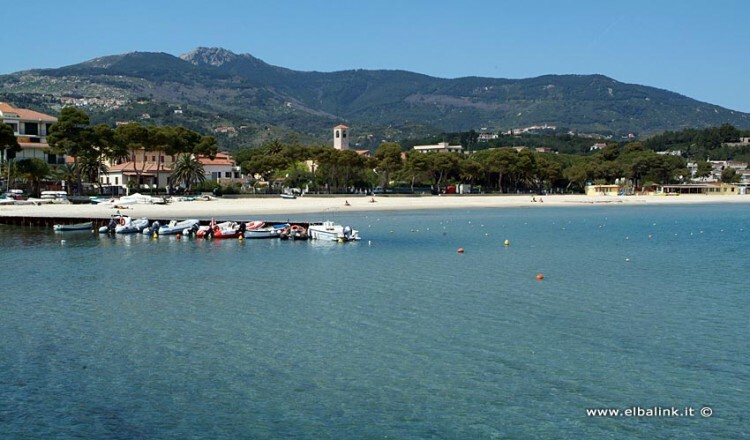 This little town, with all key services, has a delightful beach and an easily accessed rocky shore which has become more and more popular with visitors during the last few years. 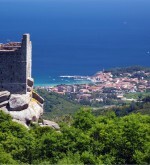 The last location on the Campo coast is the famous Fetovaia. 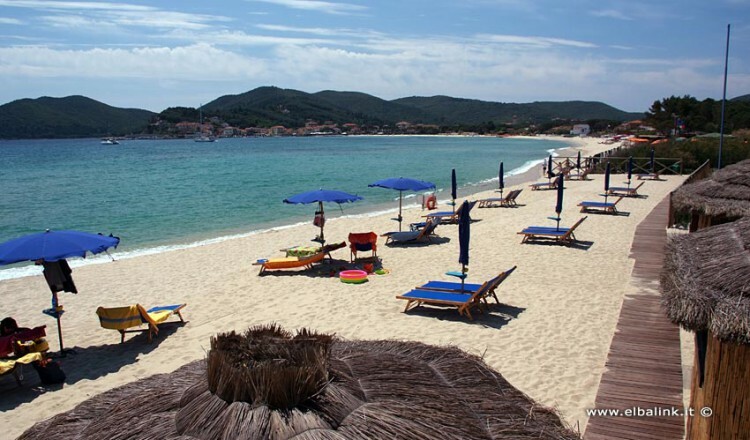 It is impossible not to be stunned by the colour contrast of its bay, with the cool, green pine-wood surrounding golden sand bathed by turquoise waters. 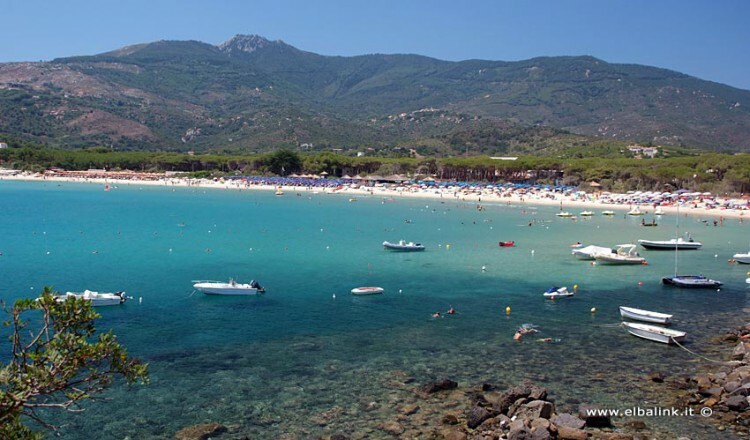 La Pila, a few kilometres from Marina di Campo, is the site of the Island of Elba’s only airport, used by both domestic and international flights.